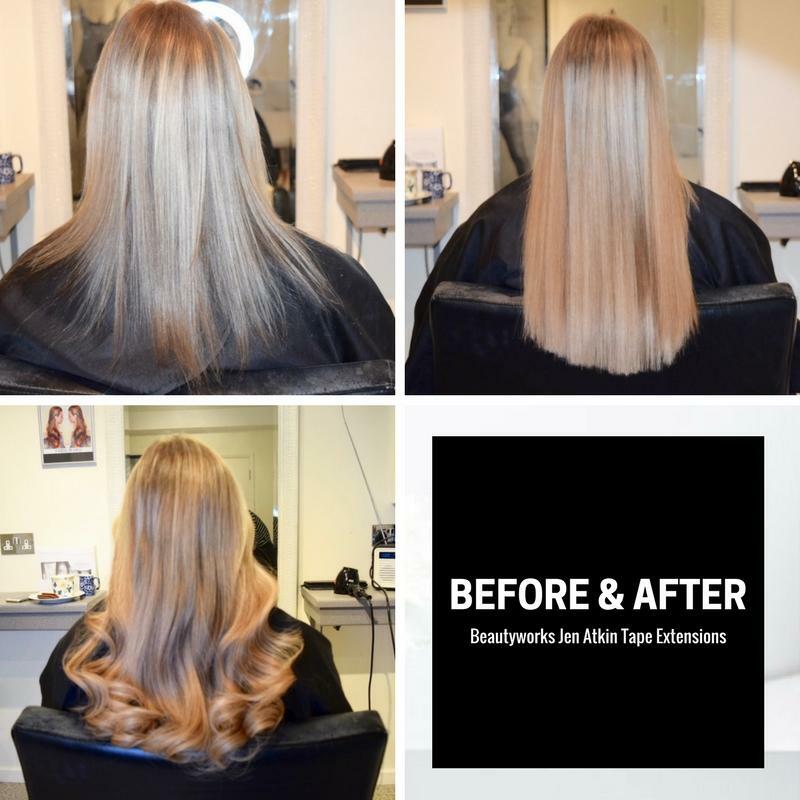 Today’s post is about the new Jen Atkin Invisi-Tape Hair Extensions from Beauty Works which I recently had put in. I have been using beautyworks hair extensions for years and was really excited to try a new way of having them put in. Previously I had been having weave hair extensions put in for 5 years. A regular weave is where your own hair is plaited and then a weft of extension hair is sewn onto the plait. This worked well for me but I wanted to try tapes to see if they would be more flattering and natural looking. My hair is so thin it never looks full and fabulous even when I’ve spent hours styling it. Day-to-day, it looks plain, sad, and makes my head look so big as my hair is so flat! I was understandably excited to try out some new extensions after 2 weeks with none in, having really thin hair really affects my confidence. I found Lucia on Instagram due to some divine intervention from the hair gods. Her Instagram account is Luciafarnesihair if you want to take a look. I went for a consultation first where we sat down and discussed what colours and type of extensions I would have and the prices and then booked my appointment to have it done. I could barely wait until the appointment I was so excited! I sat down in the chair while extensions specialist, Lucia, prepared a lovely cup of coffee for me and told me what she planned to do so I knew what was going on. We took some before photos and then it was time to start. 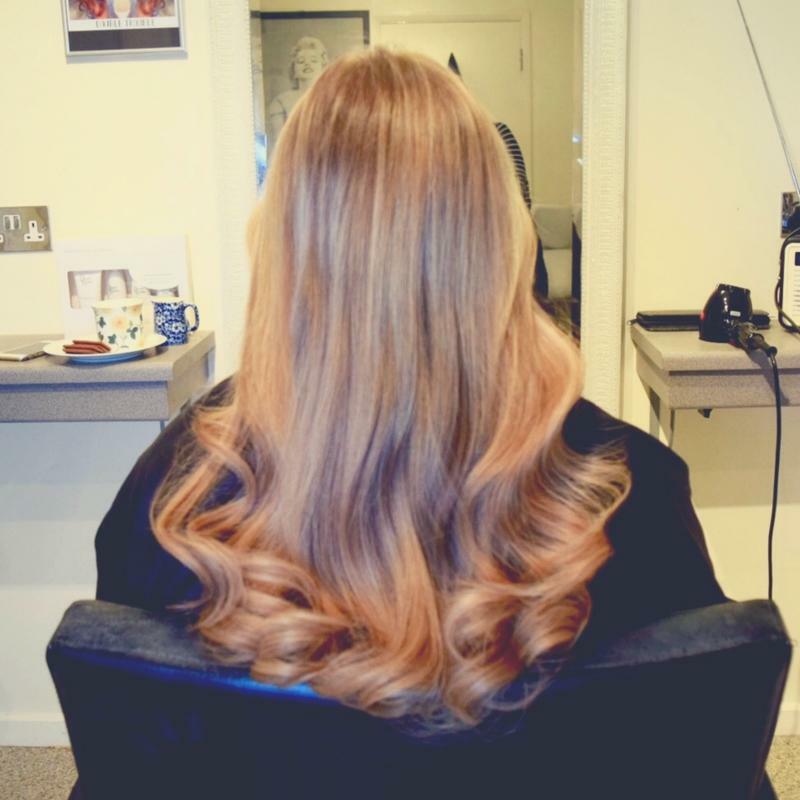 Lucia used three packs of Invisi-Tape extensions to create length, volume and chemical-free colour. The shades we decided on (I think) are Santa Barbara and Bel Air. You can see all of the bronde/balayage style colours here. Each pack comes with 8 strips of hair, so Lucia placed the extensions where I needed them the most to create the blonde and brown effect with layers and extra length. Once all of the extensions were in, my hair was 20 inches in length. Lucia then cut and blended it all together and gave me big bouncy curls and I just couldn’t stop smiling. When your hair is good, life is good. 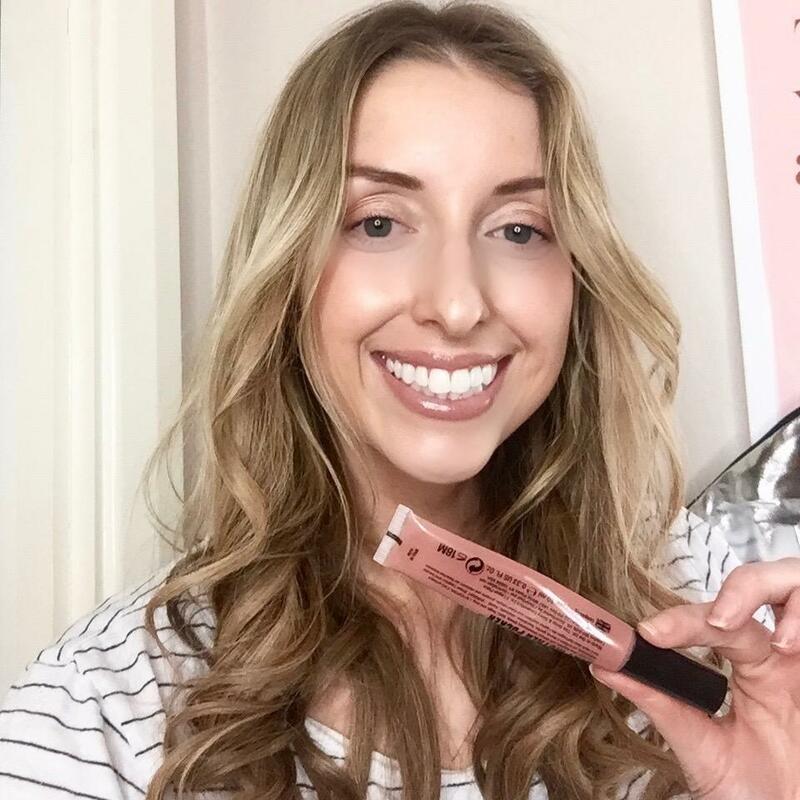 The colour is exactly what I wanted and Lucia applied both the brown and highlighted tapes in the perfect places for a naturally sunkissed look. She took so much time and care with what she was doing. I can now wear my hair up, down, to the side and you cannot see one tape in extension at all. It’s a miracle! The hair extensions improve my hair colour, volume and the texture. They are so much better than weft extensions and really cannot be seen. I could not ask for more! The tapes are secure which means the tape will withstand washing and drying. You do need to be careful with washing your hair, you must use sulphate free products (I use the Beautyworks own brand which are really reasonably priced). You wash your hair gently with no circular shampoo movements just smoothing through and cannot put conditioner on the roots, just the lengths and ends. The hair extensions prices vary as you can start with having 1 pack for a bit of volume, up to probably 4/5 packs for someone with thick hair. You can check a rough guide of the price for each pack of hair on the Beautyworks website, you then pay for maintenance or installation on top. In my opinion, you get what you pay for and the quality is A*. Lucia suggests a maintenance appointment every 6-8 weeks. She removes, washes and re-tapes the extensions and then they go straight back in. The hair is completely reusable and can last up to nine months. Pricing for the hair itself depends on what look you want to achieve but you don’t have to pay for a consultation. You can go and have a chat and see the different options. Lucia does do other methods of extensions although this is apparently her most popular right now. 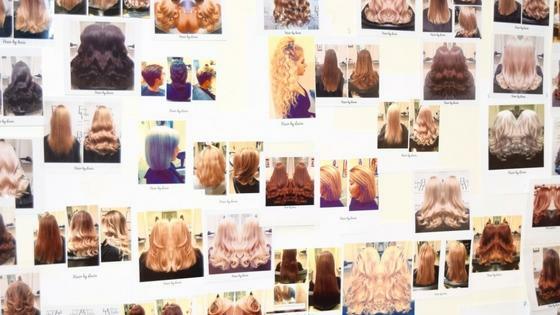 Beautyworks actually have a video (below) so you can see exactly what they look like. They are so easily hidden that nobody would ever know it’s not your own hair. I am obsessed! They are flat against the head and so natural. They also fill in any thin or fine sections with an injection of volume even at the root. They feel extremely light and discreet. The tapes come in small strips which are be placed throughout the hairline. They are not in any way painful or sore, they also don’t feel like they are pulling at my own hair or ripping it. Other extensions in the past have definitely been painful and sore so this is a vast difference. 100% I recommend these and Lucia herself. The tapes are transparent, flexible and resistant. I was in and out of the chair within 2 hours, half an hour of that was spent taking lots of photos as each strip takes seconds to apply. I feel amazing with these extensions in – like me, but much better! They are much more natural and the colours are gorgeous. Even my mum was impressed! This is the hair I’ve always dreamed of. Thank you to Lucia for being amazing.